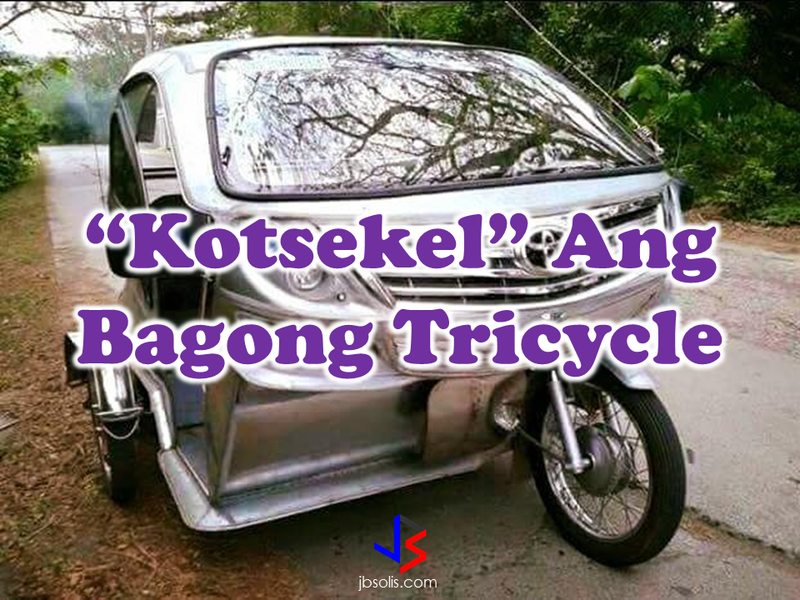 The Filipino artistry has once again proven with the rise of modified tricycles that look like cars. Tricycles are the most popular mode of transportation in the Philippines after jeepneys. Motorcycles,which are originally engineered and designed to carry 1 or 2 person has been re-designed to accommodate more passengers. Since then, the tricycles had evolved in more complex designs and that is how the "Kotsekel" was born. Today, various designs of the "kotsekel" are now invading the streets. The designs are superb and functional as well. Aside from being used as a transportation modem as its original purpose, Filipinos also use it to display their creativity to the world. The typical "kotsekel" costs around P30,000-70,000 depends on the design and it only covers the sidecar. "Kotsekels" also known as "Taxi-kel" can be seen roaming the streets of Puerto Princesa, Palawan and parts of Laguna and Batangas. All designs from a primitive-looking design jeepney clone made out of bamboo to elegant sports car look-a-like, you will be surely amazed on how the creative minds of the builders of these sidecars work. The most amazing part of building the car-like bodies is that, each of the designs are uniquely-made by different craftsmen. Magsasaka Mabuhay Ka, the post has reached nearly 100,000 shares, 22,000 reactions and about a thousand comments and counting. Filipinos are talented people and these work of arts are only few of many works showcasing world class Filipino ingenuity.